The commander of Nellis Air Force Base's prestigious 57th Wing, Brig. Gen. Robert Novotny, is doing something truly outside-the-box and engaging—he is crowdsourcing a new adversary paint scheme for one of the 64th Aggressor Squadron's (64th AGRS) Block 32 F-16C Vipers. This initiative has been taking place for nearly two weeks on the commander's Facebook page, where he is taking submissions from the public and people are judging them in rounds. So far, participants have put forward some pretty good contenders, too. The idea of US aggressors sporting the shark scheme adorned with red stars is maybe a little more controversial than other paint jobs that have come and gone in the past as US-Russian relations have hit an all-time low, and the paint job is being flown on Russian jets in Syria today. But really, the fact that the 64th can jettison the political correctness to bring a richer threat representation to front-line fighter pilots underscores how big of a deal their job is, and it is more important now than ever. Fighter pilots have been known to get "buck fever" the first time they see an enemy aircraft in real life. This distraction can lead to mistakes being made and to slower reaction times right when brevity is needed most. The 64th gets pilots accustomed to this phenomenon in a synthetic manner, so that on the battlefield they will be able to overcome their natural tendencies. In recent years, ever more elaborate and striking 'splinter' style camouflage schemes have become popular on U.S. aggressor aircraft, with the 18th Fighter Squadron out of Eielson AFB in Alaska adopting variations of it as their standard paint scheme, including this especially striking forest or 'BDU' splinter scheme. The Navy has also been quick to adopt the splinter scheme as of late. 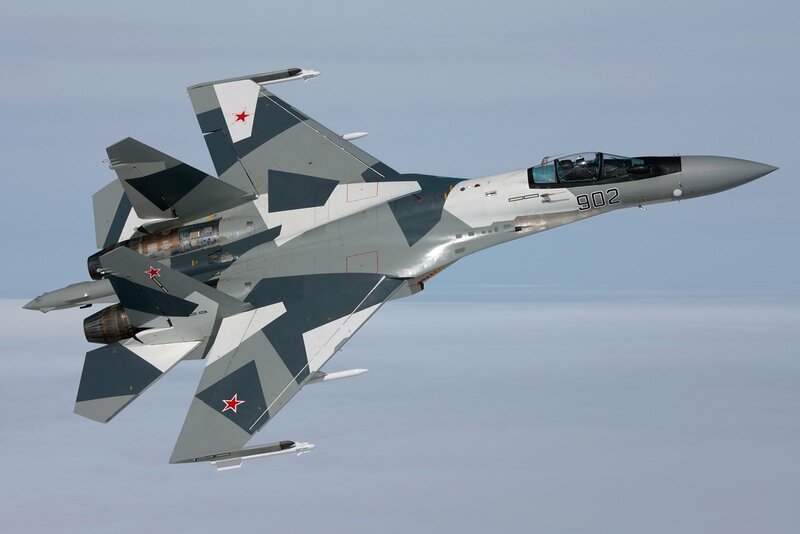 VFC-12 flies a white, gray, and black variation of this scheme first seen on an early Su-35 variant, for instance. That same unit also brought Russia's dark gray scheme to life in the states and the 64th Aggressor Squadron followed suit with one of their F-16s. But considering that China is now the most concerning peer-state technological competitor of the United States, it may be smart to base future profiles more on the paint schemes commonly found on their fighter aircraft. The 64th Aggressor Squadron is one of only two dedicated aggressor squadrons in the USAF. A third unit existed at Nellis in recent times, the 65th Aggressor Squadron that flew F-15C/Ds, but it was shuttered and elements of it were absorbed by the 64th as part of the Obama-era defense cuts. The 64th AGRS flies an eclectic mix of paint schemes on their F-16s to replicate the threats U.S. and allied pilots could see during conflicts abroad. Each F-16 usually gets repainted about every six years. The squadron's aircraft and their primary adversary mission are usually highlighted during each round of Red Flag large force employment exercises that occur at Nellis a few times year, but the 64th does far more than supporting Red Flag alone. They take part in Weapons School evolutions, provide adversarial components for operational test initiatives and also play the bad guys during many other USAF exercises. 64th Aggressor Squadrons Vipers high over the Nevada Testing And Training Range. The reality is that the 64th AGRS is the most visible component of a deep and shadowy ecosystem within the Air Force that works tirelessly to provide as realistic simulation of and as accurate information on potential enemies as possible, as well as tailored tactics used to successfully counter those standing and emerging threats to airmen and their missions. This expansive but quiet initiative includes the clandestine exploitation of captured foreign military hardware and the collection of critical intelligence, as well as the conveyance of enemy tactics and capabilities to the fleet in the form of physical threat representations and hard intelligence products. A red star with sickle and hammer adorns a 64th Aggressor Squadron pilot's flight bag as he walks to the jet. The emulation of the enemy runs far deeper than flying to mimic their tactics in colorful jets. Actual threat representations are the culmination of work of many aggressor stakeholders and come in a variety of forms. These include cyber, space, and electronic warfare, as well as employing enemy radars and surface-to-air missile systems on the training ranges and all the foreign tactics and procedures that go along with it. For instance, at Red Flag, it is not uncommon for pilots to try to communicate over the radio only to hear a Soviet-era standard crackling loudly over the frequency. Over the ranges during mission intervals, the 64th AGRS uses the ground control intercept concept to hone in on their targets, with controllers mimicking foreign procedures and tactics. Threat emitters that replicate foreign SAM fire control radars or actual foreign hardware is used to enhance the quality of the training. And before any of this happens, intelligence is secretly collected, pored over, and refined before being implemented in training. As noted earlier, this can even include the examination and testing of enemy hardware itself. So having the 64th AGRS jets look awesome is not only good for training, but they are also something of public ambassadors for all those involved in this highly secretive and demanding facet of the USAF's portfolio, much of which the 57th Wing holds. So if you have an artistic flare and want a say in what the USAF's next aggressor F-16 will look like, head over to Facebook and tell the 57th Wing boss what's up! This is the first shot we know of showing one of TacAir's splinter-schemed F-5s in the air.